When I was attempting to keep up with the 31 Days to Clean challenge (Um, I left off at Day 6 and have yet to complete that and move on, but I WILL, yes.I.WILL. ), I did remember a few cleaning tips. The answer to the problem is to regularly sterilize that kitchen sponge! You can run it through the dishwasher with each load of dishes. You can boil it on the stove for a couple minutes. But my favorite way is to put that microwave to use! Put your damp sponge in the microwave on high for 1 minute! Some people say 2 minutes, but I think 1 does the trick. But wait...there's more! 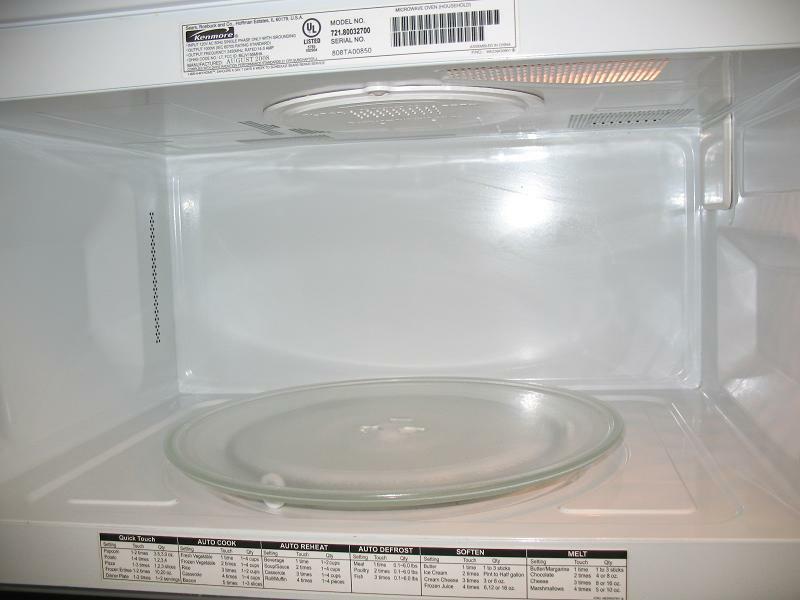 You can accomplish a kitchen chore at the same time - cleaning your microwave! After your damp sponge has been in the microwave on high for 1 minute, you will discover that your microwave is steamed up. That's fabulous because all you have to do is use that very sponge to wipe out your microwave as you're removing the sponge! I must warn you - please wait about a minute before trying to grab that sponge because it.is.HOT. When everything is damp and steamy, the grime and splatters just wipe right out!! If you do this each time you wash dishes, your microwave will stay sparkly clean with almost no effort!!! Woot!!! 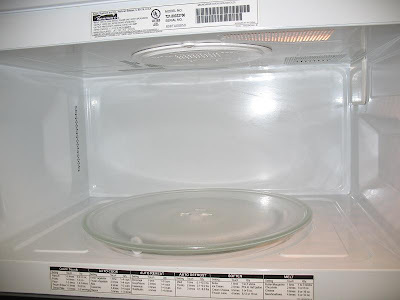 Now if your microwave is really, really, really dirty to begin with, then you might want to start by giving it a cleaning with this other easy method. Then you'll be able to maintain it. Quick swipe of the sponge and it's sparkly! Isn't that cool? My microwave almost always looks purty on the inside and I put forth next to no effort. Get more Works-For-Me-Wednesday (also known as WFMW or WMFW as I have occasionally accidentally posted) tips over at We Are THAT Family!! And please say a prayer for Kristen and her family (THAT Family) as she just got out of the hospital from having kidney failure and their Africa trip has been postponed. Have a sparkly sterilized day friends! LOL! I love doing this!!! Except I don't use a sponge at all in my kitchen. I use Handy Wipes. Love them. My microwave always looks sparkly because I never use it. LOL! I don't use sponges either. You had nothing for me today my friend. I'm kind of disappointed. Ha! Ha! But I love you and I guess that's all that matters! Big stove top and daily dish rags is how I roll size hugs to you. You gotta love me! Ha! Ha! Love the mythbusters reference. My stepson is home for the summer and he is a complete mythbusters addict, LOL! This is my favorite way of cleaning the microwave and sponge too. Add a little baking soda before you nuke the sponge and the sponge will smell clean and fresh after being 'cooked'. I have been throwing my sponges and scrubber in the dishwasher every night. But I love the micro idea because then my microwave would get cleaned DAILY...because we all know with the door shut...out of sight and out of mind :) I'll have to come back to your blog again when you're talking chocolate!